Citizen science (CS) (also known as crowd science, crowd-sourced science, civic science, volunteer monitoring or networked science) is scientific research conducted, in whole or in part, by amateur or nonprofessional scientists. Citizen science is sometimes described as "public participation in scientific research", participatory monitoring and participatory action research. Scanning the cliffs near Logan Pass for mountain goats as part of the Glacier National Park Citizen Science Program. The term CS has multiple origins as well as differing concepts. It was first defined independently in the mid-1990s by Rick Bonney in the U.S.A. and Alan Irwin in the U.K. Alan Irwin defines CS when referring to: "His developing concepts of scientific citizenship which foregrounds the necessity of opening up science and science policy processes to the public". Rick Bonney defines CS when referring to: "Public-participation engagement and science communication projects". The terms citizen science and citizen scientists entered the Oxford English Dictionary (OED) in June 2014. Citizen Science is defined as: "scientific work undertaken by members of the general public, often in collaboration with or under the direction of professional scientists and scientific institutions". Citizen Scientist is defined twice as: (a) "a scientist whose work is characterized by a sense of responsibility to serve the best interests of the wider community (now rare)" or (b) "a member of the general public who engages in scientific work, often in collaboration with or under the direction of professional scientists and scientific institutions; an amateur scientist." A first use of the term 'citizen scientist' can be found in the magazine New Scientist in an article about Ufology from October 1979. Muki Haklay cites in a policy report for the Wilson Center entitled 'Citizen Science and Policy: A European Perspective' a first use of the term 'citizen science' by R. Kerson in the magazine MIT Technology Review from January 1989. Quoting from the Wilson Center report: "The new form of engagement in science received the name "citizen science". The first recorded example of the use of the term is from 1989, describing how 225 volunteers across the US collected rain samples to assist the Audubon Society in an acid-rain awareness raising campaign. The volunteers collected samples, checked for acidity, and reported back to the organization. The information was then used to demonstrate the full extent of the phenomenon." A "Green Paper on Citizen Science" was published in 2013 by the European Commission’s Digital Science Unit and Socientize.eu, which included a definition for CS, referring to "the general public engagement in scientific research activities when citizens actively contribute to science either with their intellectual effort or surrounding knowledge or with their tools and resources. Participants provide experimental data and facilities for researchers, raise new questions and co-create a new scientific culture. While adding value, volunteers acquire new learning and skills, and deeper understanding of the scientific work in an appealing way. As a result of this open, networked and trans-disciplinary scenario, science-society-policy interactions are improved leading to a more democratic research, based on evidence-informed decision making." In March 2015, the Office of Science and Technology Policy published a factsheet entitled: "Empowering Students and Others through Citizen Science and Crowdsourcing". It states: "Citizen science and crowdsourcing projects are powerful tools for providing students with skills needed to excel in science, technology, engineering, and math (STEM). Volunteers in citizen science, for example, gain hands-on experience doing real science, and in many cases take that learning outside of the traditional classroom setting. As part of the 5th White House Science Fair, the Obama Administration and a broader community of companies, non-profits, and others are announcing new steps to increase the ability of more students and members of the public to participate in the scientific process through citizen science and crowdsourcing projects." Among the "New Steps Being Announced by the Administration" there is a section on the "Installation of a Rain Gauge in the White House Garden". Members of the Cascades Butterfly Citizen Science Team pictured on Sauk mountain. Photo by Karlie Roland. In May 2016, a new open access journal was started by the Citizen Science Association along with Ubiquity Press called 'Citizen Science: Theory and Practice' (CS:T&P). The editorial article 'The Theory and Practice of Citizen Science: Launching a New Journal' states: "CS:T&P provides the space to enhance the quality and impact of citizen science efforts by deeply exploring the citizen science concept in all its forms and across disciplines. By examining, critiquing, and sharing findings across a variety of citizen science endeavors, we can dig into the underpinnings and assumptions of citizen science and critically analyze its practice and outcomes. Such explorations can examine methods, approaches, benefits, costs, impacts, and challenges of citizen science and will help us better understand the role that citizen science can play in environmental science, public health, physics, biochemistry, community development, social justice, democracy, and beyond." The first edition has 5 research papers, 2 essays and 1 case study. Scientists and scholars who have used other definitions include Frank N. von Hippel, Stephen Schneider, Neal Lane and Jon Beckwith. Other alternative terminologies proposed are "civic science" and "civic scientist." Further, Muki Haklay offers an overview of the typologies of the level of citizen participation in citizen science, which range from 'crowdsourcing' (level 1) where the citizen acts as a sensor, to 'distributed intelligence' (level 2) where the citizen acts as a basic interpreter, to 'participatory science' where citizens contribute to problem definition and data collection (level 3) to 'extreme citizen science' which involves collaboration between the citizen and scientists in problem definition, collection and data analysis. Some projects, such as SETI@home, use the Internet to take advantage of distributed computing. These projects are generally passive. Computation tasks are performed by volunteers' computers and require little involvement beyond initial setup. There is disagreement as to whether these projects should be classified as citizen science. Citizen policy may be another result of citizen science initiatives. Johanna Varner (pen name SciCurious) writes: "If citizens are going to live with the benefits or potential consequences of science (as the vast majority of them will), it's incredibly important to make sure that they are not only well informed about changes and advances in science and technology, but that they also...are able to...influence the science policy decisions that could impact their lives." Some projects may not be suitable for volunteers, for instance when they use complex research methods or require arduous or repetitive work. In March 2015, the state of Wyoming passed new laws (Senate Files 12 and 80) making it a crime to collect environmental data on behalf of the US government and thus criminalizing CS. "1. Citizen science projects actively involve citizens in scientific endeavour that generates new knowledge or understanding. Citizens may act as contributors, collaborators, or as project leader and have a meaningful role in the project." "2. Citizen science projects have a genuine science outcome. For example, answering a research question or informing conservation action, management decisions or environmental policy." "3. Both the professional scientists and the citizen scientists benefit from taking part. Benefits may include the publication of research outputs, learning opportunities, personal enjoyment, social benefits, satisfaction through contributing to scientific evidence e.g. to address local, national and international issues, and through that, the potential to influence policy." "4. Citizen scientists may, if they wish, participate in multiple stages of the scientific process. This may include developing the research question, designing the method, gathering and analysing data, and communicating the results." "5. Citizen scientists receive feedback from the project. For example, how their data are being used and what the research, policy or societal outcomes are." "6. Citizen science is considered a research approach like any other, with limitations and biases that should be considered and controlled for. However unlike traditional research approaches, citizen science provides opportunity for greater public engagement and democratisation of science." "7. Citizen science project data and meta-data are made publicly available and where possible, results are published in an open access format. Data sharing may occur during or after the project, unless there are security or privacy concerns that prevent this." "8. Citizen scientists are acknowledged in project results and publications." "9. Citizen science programmes are evaluated for their scientific output, data quality, participant experience and wider societal or policy impact." "10. The leaders of citizen science projects take into consideration legal and ethical issues surrounding copyright, intellectual property, data sharing agreements, confidentiality, attribution, and the environmental impact of any activities." The medical ethics of internet crowdsourcing has been questioned by Graber & Graber in the Journal of Medical Ethics. In particular, they analyse the effect of games and the crowdsourcing project Foldit. They conclude: "games can have possible adverse effects, and that they manipulate the user into participation." In the research paper "Can citizen science enhance public understanding of science?" by Bonney et al. 2016, statistics which analyse the economic worth of citizen science are used, drawn from two papers: i) Theobald et al. 2015 and ii) Sauermann and Franzoni 2015. In "Crowd science user contribution patterns and their implications" by Sauermann and Franzoni (2015), seven projects from the Zooniverse web portal are used to estimate the monetary value of the CS that had taken place. The 7 projects are: Solar Stormwatch, Galaxy Zoo Supernovae, Galaxy Zoo Hubble, Moon Zoo, Old Weather, The Milky Way Project and Planet Hunters. Using data from 180 days in 2010, they find a total of 100,386 users participated, contributing 129,540 hours of unpaid work. Estimating at a rate of $12 an hour (a research scientist's basic wage), the total contributions amount to $1,554,474, an average of $222,068 per project. It should be noted that the range over the 7 projects was from $22,717 to $654,130. In "Global change and local solutions: Tapping the unrealized potential of citizen science for biodiversity research" by Theobald et al. 2015, the authors surveyed 388 unique biodiversity-based projects. Quoting: "We estimate that between 1.36 million and 2.28 million people volunteer annually in the 388 projects we surveyed, though variation is great (website-derived data: average of 3505 people per project per year, median = 50, standard error = 1914; project manager-derived data: mean from minimum reported participation = 5037, median = 200). Across projects for which we obtained time estimates (n = 106), volunteers spent an average of 21–24 hours per person annually collecting biodiversity data (range: 0.5 – 107.1 hours average per participant per year), which is comparable to rates reported in the literature (e.g. 34 hours (Corporation for National and Community Service. 2011), and 51 hours (Bureau of Labor Statistics, United States Department of Labor, 2012). We estimated the range of in-kind contribution of the volunteerism in our 388 citizen science projects as between $667 million to $2.5 billion annually. Note that this represents a minimum estimate for biodiversity citizen science worldwide, as our project sampling was restricted to only projects reporting in English and found in major online citizen science clearinghouses." "Citizen science" is a fairly new term but an old practice. Prior to the 20th century, science was often the pursuit of gentleman scientists, amateur or self-funded researchers such as Sir Isaac Newton, Benjamin Franklin, and Charles Darwin. By the mid-20th century, however, science was dominated by researchers employed by universities and government research laboratories. By the 1970s, this transformation was being called into question. Philosopher Paul Feyerabend called for a "democratization of science." Biochemist Erwin Chargaff advocated a return to science by nature-loving amateurs in the tradition of Descartes, Newton, Leibniz, Buffon, and Darwin—science dominated by "amateurship instead of money-biased technical bureaucrats." Amateur astronomers can build their own equipment, and can hold star parties and gatherings, such as Stellafane. Collectively, amateur astronomers observe a variety of celestial objects and phenomena sometimes with equipment that they build themselves. Common targets of amateur astronomers include the Moon, planets, stars, comets, meteor showers, and a variety of deep-sky objects such as star clusters, galaxies, and nebulae. Observations of comets and stars are also used to measure the local level of artificial skyglow. One branch of amateur astronomy, amateur astrophotography, involves the taking of photos of the night sky. Many amateurs like to specialize in the observation of particular objects, types of objects, or types of events which interest them. Butterfly counts have a long tradition of involving individuals in the study of the range of butterflies and their relative abundance. Two long-running programs are the UK Butterfly Monitoring Scheme (started in 1976) and the North American Butterfly Association's Butterfly Count Program (started in 1975). There are various protocols for monitoring butterflies and different organizations support one or more of transects, counts and/or opportunistic sightings. eButterfly is an example of a program designed to capture any of the three types of counts for observers in North America. Species-specific programs also exist, with monarchs the prominent example. Two examples of this involve the counting of Monarch butterflies during the fall migration to overwintering sites in Mexico:(1) Monarch Watch is a continent-wide project, while (2) the Cape May Monarch Monitoring Project is an example of a local project. Since 2005, the Genographic Project has used the latest genetic technology to expand our knowledge of the human story, and its pioneering use of DNA testing to engage and involve the public in the research effort has helped to create a new breed of "citizen scientist." Geno 2.0 expands the scope for citizen science, harnessing the power of the crowd to discover new details of human population history. This includes supporting, organization and dissemination of personal DNA (genetic) testing. Like Amateur astronomy, citizen scientists encouraged by volunteer organizations like the International Society of Genetic Genealogy have provided valuable information and research to the professional scientific community. The Internet has been a boon to citizen science, particularly through gamification. One of the first Internet-based citizen science experiments was NASA's Clickworkers, which enabled the general public to assist in the classification of images, greatly reducing the time to analyze large data sets. Another was the The Citizen Science Toolbox, launched in 2003, of the Australian Coastal Collaborative Research Centre. One of the largest citizen science games is Eyewire, a brain-mapping puzzle game developed at the Massachusetts Institute of Technology that now has over 200,000 players. Another example is Quantum Moves, a game developed by the Center for Driven Community Research at Aarhus University which uses online community efforts to solve quantum physics problems. The solutions found by players can then be used in the lab to feed computational algorithms used in building a scalable quantum computer. The internet has also enabled citizen scientists to gather data which will be analyzed by professional researchers. 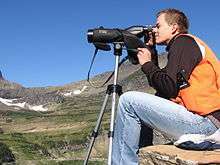 Citizen science networks are often involved in the observation of cyclic events of nature (phenology), such as effects of global warming on plant and animal life in different geographic areas, and in monitoring programs for natural-resource management. On BugGuide.Net, an online community of naturalists who share observations of arthropod, amateurs and professional researchers contribute to the analysis. By October 2014, BugGuide has over 808,718 images submitted by more than 27,846 contributors. An NASA/JPL image from the Zooniverse's The Milky Way Project showing a hierarchical bubble structure. The website CosmoQuest has as its goal: "To create a community of people bent on together advancing our understanding of the universe; a community of people who are participating in doing science, who can explain why what they do matters, and what questions they are helping to answer. Mobile technology has further boosted the opportunities for citizen science. Examples include iNaturalist, the San Francisco project, the WildLab and Project Noah. There are also smartphone apps for monitoring birds, marine wildlife and other organisms, and the 'Loss of the Night'. An Android app Sapelli is a mobile data collection and sharing platform designed with a particular focus on non-literate and illiterate users with little or no prior ICT experience. Since 2004, in order to improve earthquake detection and collect useful information, the European-Mediterranean Seismological Centre monitors the visits of earthquake eyewitnesses to its website and relies on Facebook and Twitter. Also in SA, "Members of the public, or ‘citizen scientists’ are helping researchers from the University of Pretoria to identify Phytophthora species present in the fynbos." In June 2016, citizen science experts from across East Africa gathered in Nairobi, Kenya for a symposium organised by the Tropical Biology Association (TBA) in partnership with the Centre for Ecology & Hydrology (CEH). The aim was "to harness the growing interest and expertise in East Africa to stimulate new ideas and collaborations in citizen science." Rosie Trevelyan of the TBA said: "We need to enhance our knowledge about the status of Africa’s species and the threats facing them. And scientists can’t do it all on their own. At the same time, citizen science is an extremely effective way of connecting people more closely to nature and enrolling more people in conservation action". In West Africa, the recent outbreak of Ebola virus disease and its irradication was partly helped by CS. 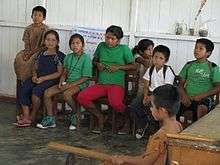 "Communities learnt how to assess the risks posed by the disease independently of prior cultural assumptions, and local empiricism allowed cultural rules to be reviewed, suspended or changed as epidemiological facts emerged." "Citizen science is alive and well in all three Ebola-affected countries. And if only a fraction of the international aid directed at rebuilding health systems were to be redirected towards support for citizen science, that might be a fitting memorial to those who died in the epidemic." Since 2010, there has been bi-annual citizen cyberscience summit, organised by the Citizen Cyberscience Centre in Geneva. The 2014 Citizen Cyberscience Summit Conference was hosted in London in February 2014 and featured 'leading figures in citizen science and exploring the process of public engagement, outreach in citizen science'. The first citizen science conference hosted by the Citizen Science Association was in San Jose, CA in February 2015 in partnership with the AAAS conference. The next Citizen Science Association conference, CitSci 2017, will be held in Saint Paul, Minnesota, USA, between May 17-20th, 2017. ↑ R.Bonney; H. Ballard; R. Jordan; E. McCallie; T. Phillips; J. Shirk; C.C. Wilderman (2009). "Bonney et al. 2009 CAISE Report on Public Participation in Scientific Research. A CAISE Inquiry Group Report". 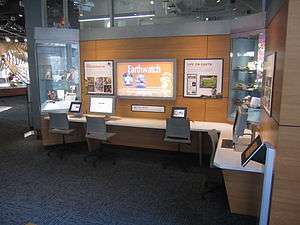 Washington, D.C.: Center for Advancement of Informal Science Education (CAISE). ↑ "New words list June 2014". Oxford English Dictionary. Retrieved 3 June 2016. 1 2 3 "'Citizen science' added to Oxford English Dictionary". The Daily Zooniverse. 16 September 2014. Retrieved 3 June 2016. 1 2 R. Kerson (1989). "Lab for the Environnment". MIT Technology Review. Vol. 92 no. 1. pp. 11–12. ↑ "Green paper on Citizen Science for Europe: Towards a society of empowered citizens and enhanced research". European Commission. 21 January 2014. Retrieved 18 August 2016. ↑ "Green paper on Citizen Science". Socientize.eu. 2013. p. 6. Retrieved 18 August 2016. ↑ Brossard, D.; Lewenstein, B.; Bonney, R. (2005). "Scientific knowledge and attitude change: The impact of a citizen science project". International Journal of Science Education. 27 (9): 1099. Bibcode:2005IJSEd..27.1099B. doi:10.1080/09500690500069483. ↑ Bauer, M. W.; Petkova, K.; Boyadjieva, P. (2000). "Public Knowledge of and Attitudes to Science: Alternative Measures That May End the "Science War"". Science, Technology & Human Values. 25: 30. doi:10.1177/016224390002500102. ↑ Bonney, R.; Cooper, C. B.; Dickinson, J.; Kelling, S.; Phillips, T.; Rosenberg, K. V.; Shirk, J. (2009). "Citizen Science: A Developing Tool for Expanding Science Knowledge and Scientific Literacy". BioScience. 59 (11): 977. doi:10.1525/bio.2009.59.11.9. ↑ Silvertown, J. (2009). "A new dawn for citizen science". Trends in Ecology & Evolution. 24 (9): 467–201. doi:10.1016/j.tree.2009.03.017. 1 2 3 OSTP (23 March 2015). "Fact Sheet: Empowering Students and Others through Citizen Science and Crowdsourcing" (PDF). The White House. Retrieved 24 April 2016. ↑ "Citizen Science: Theory and Practice". The Citizen Science Association and Ubiquity Press. 20 May 2016. Retrieved 22 May 2016. 1 2 3 R. Bonney; C. Cooper; H. Ballard (20 May 2016). "The Theory and Practice of Citizen Science: Launching a New Journal". Citizen Science: Theory and Practice. 1 (1): 1. doi:10.5334/cstp.65. 1 2 3 4 B. Lewenstein (8 June 2004). "What does citizen science accomplish?". Cornell University. Retrieved 16 September 2014. ↑ Neal Lane, "Remarks" at Panel Discussion on Future of Federal Funding for Science and Engineering, Rutgers University, April 8, 1996. Steve Schneider remarks at AAAS meeting, February 1997; see here . ↑ Clark, F.; Illman, D. L. (2001). "Dimensions of Civic Science: Introductory Essay". Science Communication. 23: 5. doi:10.1177/1075547001023001002. ↑ Haklay, Muki (2012) in Citizen Science and Volunteered Geographic Information: Overview and Typology of Participation. Crowdsourcing Geographic Knowledge. 2013, pp 105-122. ↑ Eric Larson (26 May 2014). "What Is Citizen Science, and How Can You Get Involved?". Mashable. 1 2 A. Williams (9 February 2009). "Crowdsourcing versus citizen science". Anthony D. Williams. Retrieved 15 September 2014. ↑ J. Varner (8 January 2013). "Citizen Science, Citizen Policy". ECAST. Retrieved 15 September 2014. 1 2 3 4 Thelen, Brett Amy; Thiet, Rachel K. (2008). "Cultivating connection: Incorporating meaningful citizen science into Cape Cod National Seashore's estuarine research and monitoring programs". Park Science. ParkScience. 25 (1). ISSN 1090-9966. Retrieved 2012-10-11. ↑ M.M. Gardiner; L.L Allee; P.M.J. Brown; J.E. Losey; H.E. Roy; R. Rice Smyth (November 2012). "Lessons from lady beetles: accuracy of monitoring data from US and UK citizen-science programs". Frontiers in Ecology and the Environment. 10. doi:10.1890/110185. ↑ Emma Gannon (18 May 2015). "Wyoming Criminalizes Citizen Science". Courthouse News Service. Retrieved 29 December 2015. ↑ D.B. Resnik; K.C. Elliot; A.K. Miller (December 2015). "A framework for addressing ethical issues in citizen science". Environmental Science & Policy. 54: 475–481. doi:10.1016/j.envsci.2015.05.008. ↑ A.E. Bowser; A.Wiggins (2015). "Privacy in Participatory Research: Advancing Policy to support Human Computation". Human Computation: 19–44. doi:10.1534/hc.v2i1.3. ↑ T. Scassa; Chung H. (2015). "Managing Intellectual Property Rights in Citizen Science: A Guide for Researchers and Citizen Scientists" (PDF). Woodrow Wilson International Center for Scholars. ↑ "CSA Working Group on Ethics". Citizen Science Association. Retrieved 24 April 2016. ↑ "ECSA Principles & Standards in Citizen Science: Sharing Best Practice & Building Capacity". ECSA. Retrieved 18 August 2016. 1 2 3 4 5 6 7 8 9 10 11 European Citizen Science Association (September 2015). "10 Principles of Citizen Science (English)" (PDF). ECSA. Retrieved 18 August 2016. ↑ "ECSA Documents". ECSA. September 2015. Retrieved 18 August 2016. ↑ M.A. Graber; A. Graber (30 November 2012). "Internet-based crowdsourcing and research ethics:the case for IRB review". The Journal of Medical Ethics. doi:10.1136/medethics-2012-100798. ↑ Silvertown, J. (2009). "A new dawn for citizen science". Trends in Ecology and Evolution. 24 (9): 467 - 471. ↑ C. Kullenberg C; D. Kasperowski (14 January 2016). "What Is Citizen Science? – A Scientometric Meta-Analysis". PLoS ONE. doi:10.1371/journal.pone.0147152. ↑ Kyba, Christopher C. M.; Wagner, Janna M.; Kuechly, Helga U.; Walker, Constance E.; Elvidge, Christopher D.; Falchi, Fabio; Ruhtz, Thomas; Fischer, Jürgen; Hölker, Franz (2013). "Citizen Science Provides Valuable Data for Monitoring Global Night Sky Luminance". Scientific Reports. 3. Bibcode:2013NatSR...3E1835K. doi:10.1038/srep01835. ↑ "The UK Butterfly Monitoring Scheme (UKBMS)". Retrieved 29 December 2014. ↑ Leslie Ries. "Analyzing the NABA Butterfly Count Data" (PDF). Retrieved 29 December 2014. ↑ "Goal 1: Track all North American butterfly monitoring". Retrieved 29 December 2014. ↑ "The Cape May Monarch Monitoring Project". New Jersey Audubon Research Department, and the Cape May Bird Observatory. Retrieved 4 October 2014. ↑ Baretto, C., Fastovsky, D. and Sheehan, P. (2003). A Model for Integrating the Public into Scientific Research. Journal of Geoscience Education. 50 (1). p. 71-75. ↑ "North American Phenology Program". Retrieved 30 July 2016. ↑ Jiguet, F., Devictor, V., Jul iard, R. & Couvet, D. 2012. 'French citizens monitoring ordinary birds provide tools for conservation and ecological sciences'. Acta Oecologica-International Journal of Ecology, 44, 58-66. ↑ Lauro, Federico M.; Senstius, Svend Jacob; Cullen, Jay; Neches, Russell; Jensen, Rachelle M.; Brown, Mark V.; Darling, Aaron E.; Givskov, Michael; McDougald, Diane (2014-09-09). "The Common Oceanographer: Crowdsourcing the Collection of Oceanographic Data". PLoS Biol. 12 (9): e1001947. doi:10.1371/journal.pbio.1001947. PMC 4159111 . PMID 25203659. ↑ "AnnoTate homepage". Zooniverse. Retrieved 2 June 2016. ↑ "ARTigo homepage". ARTigo. Retrieved 2 June 2016. 1 2 Dan Drollette (29 March 2012). "Citizen science enters a new era". BBC. Retrieved 4 October 2014. ↑ Pearce, Joshua M. (2012-09-14). "Building Research Equipment with Free, Open-Source Hardware". Science. 337 (6100): 1303–1304. doi:10.1126/science.1228183. ISSN 0036-8075. PMID 22984059. ↑ Pearce, J. M. (2015-06-20). "Return on investment for open source scientific hardware development". Science and Public Policy: scv034. doi:10.1093/scipol/scv034. ISSN 0302-3427. 1 2 Baden, Tom; Chagas, Andre Maia; Gage, Greg; Marzullo, Timothy; Prieto-Godino, Lucia L.; Euler, Thomas. "Open Labware: 3-D Printing Your Own Lab Equipment". PLOS Biology. 13 (3). doi:10.1371/journal.pbio.1002086. PMC 4368627 . PMID 25794301. ↑ Wijnen, Bas; Anzalone, G. C.; Pearce, Joshua M. (2014-09-01). "Open-source mobile water quality testing platform". Journal of Water Sanitation and Hygiene for Development. 4 (3): 532–537. doi:10.2166/washdev.2014.137. ISSN 2043-9083. ↑ Kelley, Christopher D.; Krolick, Alexander; Brunner, Logan; Burklund, Alison; Kahn, Daniel; Ball, William P.; Weber-Shirk, Monroe (2014-04-22). "An Affordable Open-Source Turbidimeter". Sensors. 14 (4): 7142–7155. doi:10.3390/s140407142. PMC 4029670 . PMID 24759114. ↑ Anzalone, Gerald C.; Glover, Alexandra G.; Pearce, Joshua M. (2013-04-19). "Open-Source Colorimeter". Sensors. 13 (4): 5338–5346. doi:10.3390/s130405338. PMC 3673140 . PMID 23604032. ↑ Wittbrodt, B. T.; Squires, D. A.; Walbeck, J.; Campbell, E.; Campbell, W. H.; Pearce, J. M. "Open-Source Photometric System for Enzymatic Nitrate Quantification". PLOS ONE. 10 (8). doi:10.1371/journal.pone.0134989. PMC 4526554 . PMID 26244342. 1 2 Contributors, Public Lab. "Public Lab: a DIY environmental science community". publiclab.org. Retrieved 2016-02-27. ↑ Damase, Tulsi R.; Stephens, Daniel; Spencer, Adam; Allen, Peter B. "Open source and DIY hardware for DNA nanotechnology labs". Journal of Biological Methods. 2 (3). doi:10.14440/jbm.2015.72. PMC 4598940 . PMID 26457320. ↑ Zhang, Chenlong; Anzalone, Nicholas C.; Faria, Rodrigo P.; Pearce, Joshua M. "Open-Source 3D-Printable Optics Equipment". PLoS ONE. 8 (3). doi:10.1371/journal.pone.0059840. PMC 3609802 . PMID 23544104. ↑ Wells, Spencer (2013). "The Genographic Project and the Rise of Citizen Science". Southern California Genealogical Society (SCGS). Retrieved July 10, 2013. ↑ King, Turi E.; Jobling, Mark A. (2009). "What's in a name? Y chromosomes, surnames and the genetic genealogy revolution". Trends in Genetics. 25 (8): 351–60. doi:10.1016/j.tig.2009.06.003. PMID 19665817. The International Society of Genetic Genealogy (http://www.isogg.org) advocates the use of genetics as a tool for genealogical research, and provides a support network for genetic genealogists. It hosts the ISOGG Y-haplogroup tree, which has the virtue of being regularly updated. ↑ Mendex, etc. al., Fernando (February 28, 2013). "An African American Paternal Lineage Adds an Extremely Ancient Root to the Human Y Chromosome Phylogenetic Tree". The American Society of Human Genetics. Retrieved July 10, 2013. This is Volume 92, Issue 3, pages 454-459. 1 2 "Citizens In Space". Citizensinspace. Retrieved 15 September 2014. ↑ ""Teachers in Space" becomes "Citizens In Space"". Citizensinspace.org. Retrieved 2012-11-06. ↑ J, Fien,; F, Smith, T; S, Lazarow, N; J, Pembleton,; K, Rosenthal,; D, Alcock,; C, Thomsen, D; K, Hudson,; J, Gleeson,; P, Oliver,; M, Gooch,; C, White,; B, Powell,; J, Whelan,; R, Rickson,; R, Eisner,; D, Dwyer, C; H, Malawkin,; J, Tilden, (1 January 2003). "The Citizen Science Toolbox : Citizen Science: Linking communities, scientists and decision-makers". Retrieved 30 July 2016. ↑ 20156@au.dk. "CODER - AU Ideas Center for Community Driven Research". au.dk. ↑ Cooper, C.B., Dickinson, J., Phillips, T., and Bonney, R. (2007). Citizen Science as a Tool for Conservation in Residential Ecosystems. Ecology and Society. 12 (2). ↑ "New Zooniverse projects – Bat Detective and Click to Cure". European Space Education Resource Office. 30 October 2012. Retrieved 8 October 2014. ↑ Tinati, Ramine; van Kleek, Max; Simperl, Elena; Luczak-Roesch, Markus; Simpson, Robert; Shadbolt, Nigel. "Designing for Citizen Data Analysis: A Cross-Sectional Case Study of a Multi-Domain Citizen Science Platform". In Proceedings of the 33rd Annual ACM Conference on Human Factors in Computing Systems (CHI '15). : 4069–4078. doi:10.1145/2702123.2702420. ↑ "Citizen Science Alliance website". Retrieved 28 September 2014. ↑ Lintott, Chris. "A Whole New Zooniverse". Zooniverse Blog. Retrieved 15 June 2016. ↑ "Zooniverse Project Builder Policies, or So You Want To Launch a Project?". Zooniverse. Retrieved 15 June 2016. ↑ Shuttleworth Foundation. "PyBossa". pybossa.com. ↑ "San Francisco Parks Alliance ParkScan". San Francisco Parks Alliance. 2014. Retrieved 5 August 2016. ↑ "The Wildlab". The Wildlab. 2016. Retrieved 5 August 2016. ↑ "Project Noah". Networked Organisms. 2016. Retrieved 5 August 2016. ↑ "Citizen science: Chandra Clarke at TEDxChathamKent". YouTube. 14 March 2014. Retrieved 15 September 2014. ↑ O'Hanlon, Larry (1 May 2013). "Turn Yourself into a Skyglow Meter". Discovery News. Retrieved 8 May 2013. ↑ "Sapelli". University College London. 2016. Retrieved 5 August 2016. ↑ "Healthy Rivers – Healthy people: Citizen Science for sustainable water management in a climate stressed society". 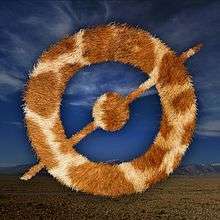 The Wildlife and Environment Society of South Africa. 2014. Retrieved 20 July 2016. ↑ Joey Hulbert (10 February 2016). "Citizen engagement in research to protect fynbos – and forests". SA Forestry Online. Retrieved 20 July 2016. ↑ "Citizen science takes a leap forward in East Africa". Tropical Biology Association. June 2016. Retrieved 20 July 2016. ↑ "Zooniverse Projects". Zooniverse. Retrieved 20 July 2016. ↑ "Citizen Science and Bird Conservation in Nigeria" (PDF). Nigerian Conservation Foundation. March 2014. Retrieved 20 July 2016. ↑ Megan Hamilton (15 September 2014). "Citizen science project will benefit Africa's giraffes". digitaljournal.com. Retrieved 20 July 2016. ↑ "Mapping Indigenous Territories in Africa". Esri. 2016. Retrieved 20 July 2016. ↑ Paul Richards (19 May 2016). "How black bin bags and common sense helped end an epidemic, and what we can learn from it". African Arguments. Retrieved 20 July 2016. ↑ "Ashaninka Land Monitoring Initiative". Global Canopy Programme. April 2016. Retrieved 20 July 2016. 1 2 3 Marcelo Gisande (7 June 2016). "AppEAR: una aplicación para estudiar ambientes acuáticos con colaboración ciudadana". CONICET. Retrieved 1 August 2016. 1 2 Federico Kukso (2016). "Ciencia ciudadana: la cultura de la colaboración". Retrieved 1 August 2016. 1 2 3 Kristine A. Wong (27 January 2014). "IBM and SAP open up big data platforms for citizen science". The Guardian. Retrieved 2 August 2016. 1 2 "Exoss Citizen Science". Astronomy Without Borders. July 2015. Retrieved 2 August 2016. 1 2 "SiBBr completes one year with six million records on biodiversity". RNP. 26 November 2015. Retrieved 3 August 2016. 1 2 3 "Brasil Megafauna Marinha". ECSA. Retrieved 3 August 2016. 1 2 3 "Crop protection via smart phone: ZALF and PEAT start new Citizen Science project". Leibniz-Zentrum für Agrarlandschaftsforschung. Retrieved 3 August 2016. 1 2 3 Penny Sarchet (20 January 2015). "Citizen scientists sift soil for new antibiotics". RBI. Retrieved 3 August 2016. ↑ "Chilecientifico Ciencia Ciudadana". Chilecientífico. Retrieved 29 July 2016. ↑ "Saving Chile's bumblebee from extinction". Bee Safe. 1 February 2016. Retrieved 29 July 2016. ↑ A.A. Grez; T. Zaviezo (2015). "Chinita arlequin: Harmonia axryidis en Chile". Chinita Arlequín en Chile. Retrieved 29 July 2016. ↑ "Pluviómetros Ciudadanos". Dirección General de Aguas: Ministerio de Obras Públicas. Retrieved 29 July 2016. ↑ "Moscas Floricholas de Chile". Facebook. Retrieved 29 July 2016. ↑ "Concluyó proyecto piloto de ciencia ciudadana en humedales de Bogotá". Humboldt Institute. 2014. Retrieved 30 July 2016. ↑ "Organización para la Educación y Protección Ambiental". OpEPA. 2016. Retrieved 30 July 2016. ↑ Comunicación RIABM editor (4 August 2015). "Ciencia ciudadana en el Bosque Modelo Risaralda, Colombia". Red Iberoamericana de Bosques Modelo. Retrieved 30 July 2016. ↑ "Red Ambiental Ciudadana de Monitoreo (RACIMO)". Racimo. Retrieved 30 July 2016. ↑ "SIB Report No.2". Sistema de información sobre Biodiversidad de Colombia. 2013. Retrieved 30 July 2016. ↑ "Funciones del Instituto". The Sinchi Institute. Retrieved 30 July 2016. ↑ "Citizen Science Volunteers needed for mapping South American Wetlands". Pacific Biodiversity Insitute. Retrieved 20 July 2016. ↑ "ED51A. Era of Citizen Science: Intersection of Outreach, Scientific Research and Big Data I Posters". American Geophysical Union. 13 December 2013. Retrieved 15 September 2014. ↑ "Conference February 11th-12th, San Jose, California, USA". Citizen Science Association. Retrieved 15 September 2014. ↑ "CitSci2017: May 17-20th in Saint Paul, Minnesota". Citizen Science Association. 13 July 2016. Retrieved 1 August 2016. ↑ "Eventarchiv". Citizen Science Platform "Österreich forscht". Retrieved 31 July 2016. Citizen Cyberscience Centre. The Citizen Cyberscience Centre in Geneva. Citizen Cybersummit Conference 2014. Every two years. The Public Library of Science (PLOS). CitizenSci – projects, people, and perspectives fueling new frontiers for citizen science. Marine Debris tracker. Spreading awareness of marine debris. Citizen Science with TCV. Citizen Science projects in Scotland.